We’ve taken Panzer Grenadier into the 1950’s before, but only in alternate-history works based on a Cold War gone hot. I always knew the game system would work fine there (the differential-based gun-vs.-armor subsystem was designed to make sure of that), but for years World War II topics took center stage. Jay Townsend decided to make a change happen, and bring historical Panzer Grenadier battles into the 1950’s. Korean War: Pusan Perimeter is the first of a multi-part opus that continues in Korean War: Counter Attack. But even the longest journey starts with but a single step, so here’s the first look at the scenarios from Korean War: Pusan Perimeter. You can see the rest of the scenario previews in Part Two, Part Three, Part Four and Part Five. The NKPA attacked across the length of the 38th Parallel into South Korea with 10 infantry divisions, one armored brigade and one mechanized infantry brigade, all backed by heavy artillery and air support. In all, about 223,000 troops of the Inmun Gun crossed the border in the early morning hours of 25th. In the far west the ROK 17th Infantry Regiment garrisoned the Ongjin Peninsula, an enclave cut off from the rest of South Korea and its army. 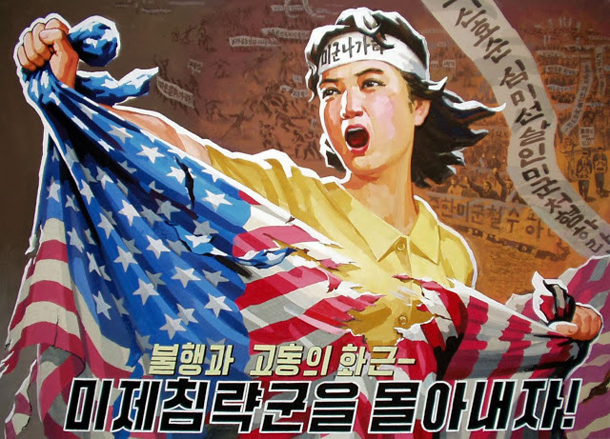 Fierce fighting erupted on the peninsula from the very start of the North Korean invasion. Col. Paik In-yup, the 17th’s commander, had ignored orders to stand down from earlier alerts and when the NKPA struck his troops wer already in their front lines and ready to fight. On the 26th of June about 1750 of the ROK soldiers evacuated the peninsula in LSTs, having about 10 percent of their comrades in earlier fighting. After the evacuation, security on the Ongjin Peninsula fell to the NKPA’s 3rd Border Guard Brigade. All across the 38th Parallel, the NKPA advanced but the ROK put up a fight. We start the Korean Epic with a fairly small infantry-based scenario. The Norks have numbers, morale and artillery; the ROKs have entrenchments and surprisingly good leadership (actually, that last is true for both sides). The goals are pretty simple: the North has to burst through the South’s line; the South has to stop them. The main North Korean attack came down the Uijongbu Corridor coinciding with a general attack across the front. The 3rd Infantry Division accompanied by the 107th Tank Regiment marched down the Kumhwa-Uijongbu-Seoul road, often called the P’och’on Road, angling into Uijongbu from the northeast. The 4th Infantry Division supported by the 109th Tank Regiment drove straight south toward Tongduch’on-in from the 38th Parallel near Yonch’on. The ROK 7th “Seven Star” Division stood their ground, awaiting the initial blows of the NKPA. The Minister of Defense in Seoul received a radio message from an ROK officer requesting immediate reinforcements as the positions near the 38th Parallel were receiving heavy artillery fire and under general attack. At that time all ROK units found themselves engaged. Strong enemy armored columns gained both major roads heading south, and the townspeople in Uijongbu could hear the artillery fire just 20 miles north of Seoul. This is a big scenario, with two large NKPA forces driving south against the outnumbered, outgunned and outmoraled ROK defenders. The Norks have a very high standard of victory to meet, but they’ve got lots of force with which to accomplish their mission: plentiful tanks, good artillery support and even aircraft. The NKPA 2nd Division replaced a Border Guard unit in the front lines and received orders to capture Ch’unch’on by the afternoon. The ROK 6th “Blue Star” Infantry Division guarded Ch’unch’on, a beautiful town spread out below the Peacock Mountains. From the outset accurate ROK artillery fire rained down on the 2nd Division’s attacking 6th Regiment. The battle for Ch’unch’on went against the North Koreans. From dug-in positions and pillboxes on the high ridge just north of town the ROK 6th Infantry Division repelled one assault after another. The failure forced the NKPA command to reconsider their plans and send reinforcements to the badly-mauled 2nd Division. The Norks must advance on a fairly narrow front with a strong infantry force, but they’re actually out-gunned by the ROK artillery and that’s never a good recipe for the attacker in Panzer Grenadier. The ROKs have equal morale and initiative, good leadership and fortified positions. This could be a long day for the NKPA. The NKPA 2nd Division could not dislodge the ROK 6th Infantry Division and fell behind the offensive’s carefully-planned timetable. NKPA Headquarters sent the 7th Division to help while the ROK also committed a reserve regiment to the mix. The ROK 6th Division began the war at full strength, unlike other ROK divisions which had granted weekend passes to some of their men, and was ready for battle. The NKPA earned little more success on the second day of battle for Ch’unch’on than it did on the first day despite adding the resources of another division. The casualties climbed but without result, though no NKPA tanks had entered the battle thus far. But would the ROK Divisions on the flanks of the 6th Division hold too? Same battlefield, weaker attackers. ROK artillery has actually increased since the previous day, while the Norks have not even made good all of their losses. This one’s going to be even tougher for the North. Captain Joseph R. Darrigo held the distinction of the only American officer on the 38th Parallel the morning of June 25th. He served as an advisor to the ROK 12th Regiment on the edge of Kaesong, just below Songak-san. At daybreak he awoke to the sound of artillery fire. As he jumped in his jeep, small-arms fire peppered the ground nearby. Starting the jeep he beheld a startling sight about a half mile away at the railroad station: in plain view scores of North Korean soldiers disembarked from fifteen train cars, formed up and began advancing toward the center of town. The 13th and 15th Regiments of the North Korean 6th Division had commenced their attack on Kaesong, killing or capturing most of the ROK 12th Regiment. Nothing, it seemed, could stop them. Only two 12th Regiment companies escaped to report Kaesong's capture. Local commanders decided to move the 11th Regiment to assist the 13th Regiment immediately in the Musan-ni and Korango’o-ri areas and agreed they would blow the bridge over the Imjin River after the 12th Regiment withdrew across it. The explosives failed to detonate as the North Korean 1st Division and supporting tanks of the 105th Armored Brigade approached. Failure to destroy the bridge led to bitter fighting. ROK soldiers of 13th Regiment engaged in suicide tactics, clutching high explosives and hurling themselves under the enemy tanks. Others approached the tanks with satchel or pole charges, or tried to pry open tank hatches and throw grenades inside. These volunteers destroyed a few tanks, but most were killed. The 2.36-inch bazookas and 37mm anti-tank guns proved ineffective against most of the advancing tanks, while the Soviet-made 122mm artillery out-ranged the South Korean 105mm American hand-me-downs. Nevertheless, ROK units fought hard in this area. They held up the enemy for over three days in the Korangp’ o-ri position, buying time for the South Korean Army to reassemble, and for American reinforcements to arrive. The Norks are going to depend heavily on their tanks to smash a way through the ROK lines, as they otherwise don’t have great numerical superiority and only a slight edge in morale and artillery support. They’re going to have to take the bridge and inflict a lot of casualties; while they can win by exiting the south edge it’s a long way from north to south on this game map and the balance of forces doesn’t favor a breakthrough. The NKPA launched a two-pronged attack on the 26th. The 2nd Division advanced on the eastern flank headed into Uijongbu, while the 7th Division drove down the western road. The 2nd and 7th ROK Divisions planned to counterattack but the 2nd Division never launched theirs, forcing the 7th Division to abandon their own attack despite making some headway. In essence, the 2nd, 5th, 7th and Capital Divisions now fought an uncoordinated delaying action in the vicinity of Uijongbu. If the North Koreans brushed them aside the roads to Seoul stood wide open. The failure to coordinate an effective counterattack north of Seoul from the tangled elements of four different divisions left the gates almost wide open. The advance of the North Korean columns became known to the populace and soon refugees began crowding the roads south. On the 27th of June, North Korean planes began dropping leaflets on the city calling for surrender. The ROK and Korean Military Advisory Group (KMAG) headquarters packed up and headed south - they weren't ready to give up. This scenario doesn’t depict the attempted counterattack, but rather the defense of the road to Seoul, and for that task the ROKs don’t suffer any additional penalties for incoherent command. That’s only a small relief, though, as they have few weapons able to stop the Nork T-34’s short of point-blank artillery fire. Otherwise their initiative, morale and leadership are still pretty good – but that armored spearhead will do a lot of damage. During the night the deputy commander of the ROK’s engineer battalion organized an ambush by suicide teams. They anticipated a strong NKPA T-34 tank attack, and prepared by lining the highway leading south from Munsan with foxholes and men with explosives ready to die fighting. The T-34’s never showed up that night, to no one’s disappointment. However, the ROK force annihilated an NKPA patrol. The AT teams brought back more captured weapons as well. Although the engineers failed to destroy the bridge the day before, they retrieved their honor that night. As daylight approached so did the dreaded T-34’s. This is a small, night-time infantry fight on just one board. The tanks don’t show up, so it’s up to the infantry on both sides, with the Norks hampered by the ambush until the ROKs spring to the attack. The NKPA seemed to regret giving the ROK 1st Division a nighttime reprieve, and in the morning sent twenty-five T-34’s rumbling straight for Seoul with only the under-gunned ROK 1st Division to stop them. The ROK artillery once again laid down a barrage of fire while the ROK Infantry braced for impact, having grown somewhat accustomed to the enemy armor and avoiding the fear that had gripped them on first contact. Facing a determined defensive combination of concentrated artillery fire, anti-tank fire, anti- tank teams and infantry the T-34’s could not breach the ROK lines. Some newly-arrived troops from the 15th Regiment joined in, the anti-tank teams climbing onto the T34’s in a desperate measure, and dying as heroes in a valiant display of dedication. The violent attacks continued but the mighty T-34s could not punch a hole through the lines. A Nork force of nothing but T-34’s comes barreling down the road at ROK defenders who have a small mix of infantry, anti-tank teams and artillery. It’s a small and fast scenario, and shows why you should never send your tanks into battle without infantry. Even the mighty T-34 will fall to infantry assault if they let the foot soldiers get too close. And that concludes the first segment. Next time, the ROKs continue their desperate defense of their capital, and the Americans finally make their first appearance. Click here to order Pusan Perimeter.